"Freedom on the water regardless of ability"
Sailability caters for people with a wide range of disabilities and sailing experience. Access Dinghies are specially designed to enable everyone to participate fully and enjoy sailing. 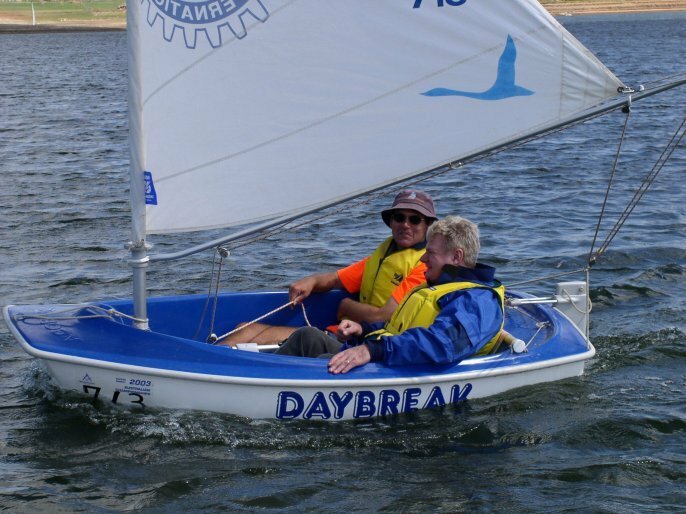 Sailability works closely with a variety of disability organizations around Australia, ensuring that people with disabilities have the opportunity to sail in safety and experience adventure and freedom-building mobility, self confidence and pride through achievement. 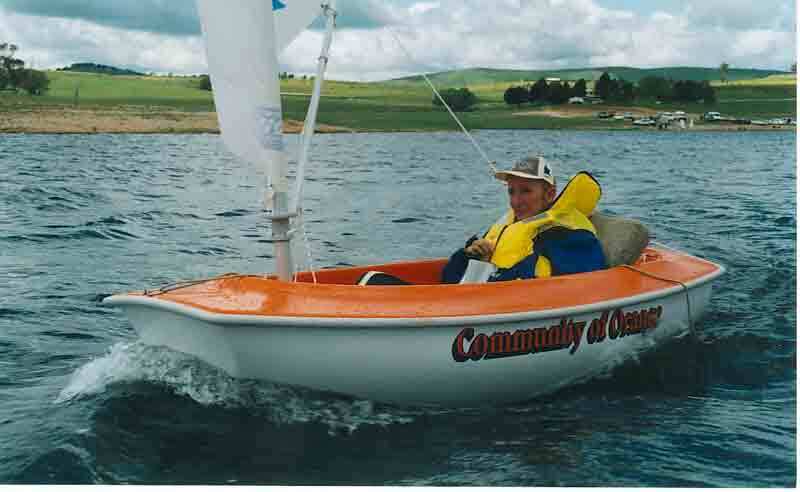 Sailability is a registered charity and run by volunteers for the whole community. There are adult and junior participants from Orange, Blayney, Cowra, Bathurst and surrounding districts. 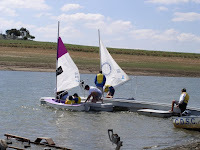 We also facilitate some of the local Schools' sailing activities. 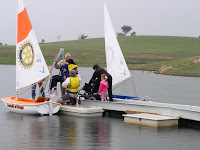 With the support of Carcoar Dam Sailing Club, we meet regularly between October and April each year. We have a fleet available of both 2.3 and 303 class Access dinghies. Sailability Orange was renamed Central West last year as an increasing number of participants came from an expanding geographical area, this now encompasses Bathurst, Blayney, Cowra, Orange and Young. 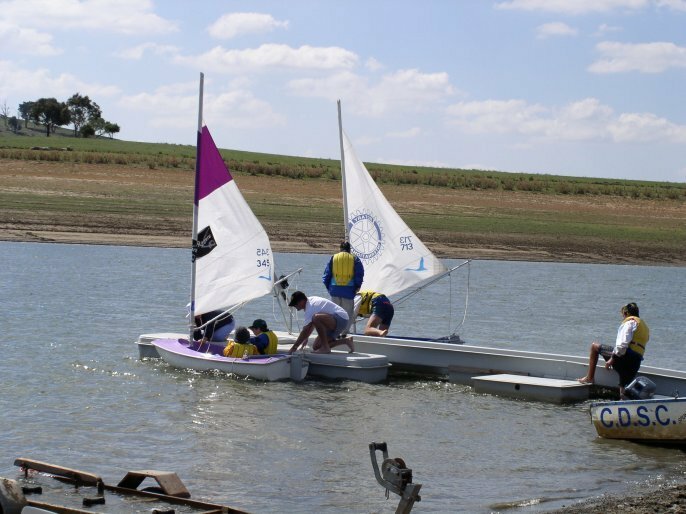 We usually meet on the last Sunday of each month between September and April at Carcoar Dam Sailing Club; a dedicated and enthusiastic team of volunteers is always busy on shore or on the water. These sailing days are great social occasions too, with many members and their families/friends staying the whole day. 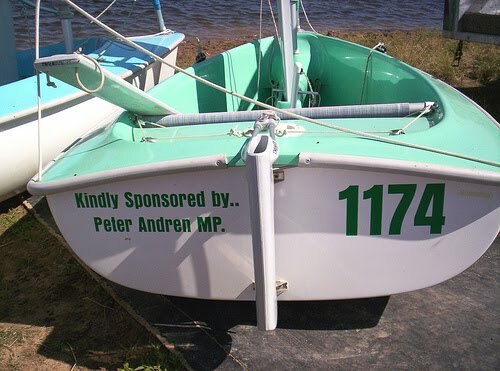 We also have a school sailing program which runs during terms one and four; 80 students from four schools are involved, the majority of whom are youth at risk or youth with a disability. Carcoar Dam Sailing Club has been wonderful with its support and willingness to assist this branch, and both organizations complement and benefit each other in many ways; for example, the SC shares the use and insurance of our storage shed and recovery boat, plus we assist in each other’s fundraising bbq's. It is also great to see the integration of sailors when our members compete in the weekend Club races. Central West had small beginnings about three years ago with just one Access 2.3 launching from the dam foreshores with a handful of volunteers and participants. As the need for more equipment and infrastructure arose, much fundraising became necessary. Local businesses, individuals, social clubs and community organizations have been approached for various projects, and through their generosity we have been able to finance new Access dinghies, PFDs, pontoon and hoist, a reliable recovery boat, and storage shed. Government grants are the hardest to get, and we’ve applied for many, however, this year we’ve been successful with a Capital Assistance Grant to build a ramp into the clubhouse and wheelchair accessible unisex amenities block; plus funding from the Volunteers Small Equipment Grant for a Quickshade marquee and shore shuttle. One particular aspect of Sailability, which is always inspiring, are the wonderful stories, smiles and happy tears of those involved; Sailability has touched the hearts of many, and its success lies in the physical and emotional experiences that sailing fosters. I believe that whenever one is doing something connected with Access dinghies or Sailability, one is somehow linked to a ‘higher source’; this energy is so pure it is no surprise that the Sailability network is growing worldwide! I am a c.4/5 quad from country NSW. Recently our local Sailability group (Central West Sailability) launched our new 2.3 servo boat. I was lucky enough to take it for its first sail. It was a fantastic experience. I have been for a ride in the 2.3 as a passenger but was unable to use the rudder or pull the sail in or out. While this was enjoyable, taking the controls was streets ahead of the passive passenger option. I was a keen sailor before my accident, 17 yrs ago. At first I was a bit dubious about capsizing but it quickly became apparent that the 2.3 is very stable even in the blustery conditions on the day. I felt very safe managed to stay fairly dry and thoroughly enjoyed myself. I now sail every opportunity I get. I enter races with our able bodied sailors and greatly enjoy the opportunity to race on an equal footing. We have a very dedicated group of volunteer's who set everything up, put us in and out of the boats and pack everything away. Without our volunteer's and these great little servo boats sailing is just a distant memory for people who find themselves in the same boat as myself. I wish to thank our volunteer's and Access Dinghies for giving a lot of disabled people a lot of joy. Thanks again.